Let ABC be a triangle. 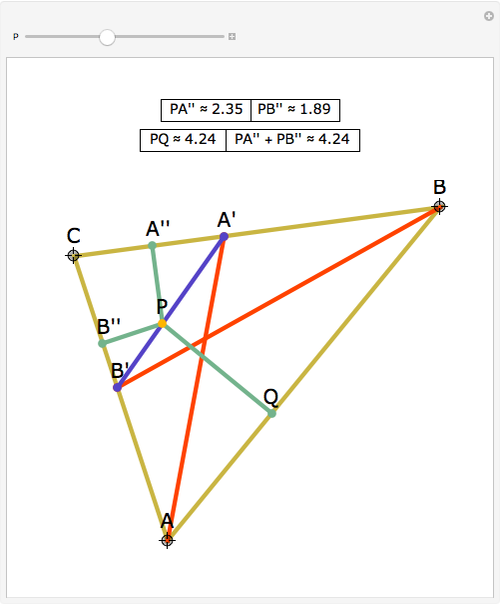 Let AA' and BB' bisect the angles CAB and ABC. Let P be a point on A'B' and PQ be perpendicular to AB. 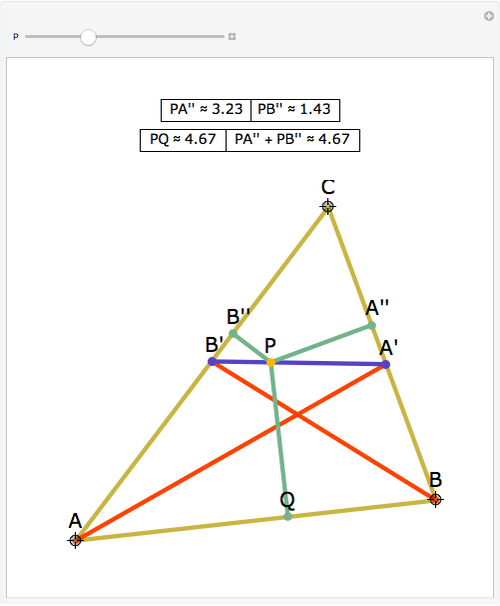 Let PB'' and PA'' be perpendicular to AC and BC. Then PQ = PA'' + PB''. 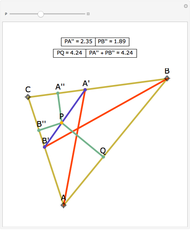 See problem 1.13 in V. Prasolov, Problems in Plane and Solid Geometry, Vol. 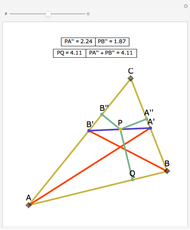 1, Plane Geometry [PDF], (D. Leites, ed. and trans.). 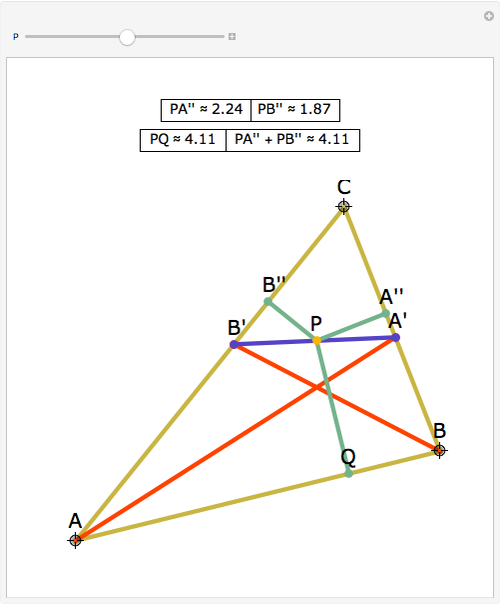 Jay Warendorff "Perpendiculars from a Point on the Line between the Endpoints of the Angle Bisectors"